Moving your home to a new location is a challenge in itself, but moving to a new country in Scandinavia is a whole other story. Norway is a beautiful country with an interesting history and wild landscapes. When you remove there, you will have the possibility to experience amazing natural phenomena and get closer to nature than ever before. The majority of people in this Scandinavian country have accepted an outdoor lifestyle and fill every bit of their free time with hiking, skiing, sailing or just jogging in the closest park. 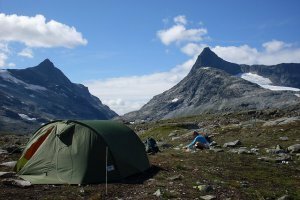 So, don’t forget to pack your tent and climbing gear when you get ready to move to Norway. Here are some highlights of what to expect and be excited about. Norway is one of the coldest countries in Europe. You have everything here — 5 months of snow and northern lights, along with 7 months of rain, sun, and rainbows. Despite the common belief that London is the rainiest city in Europe, the truth is different — the city of Bergen, which lies on the west coast of Norway, is considered to be the rainiest city on the continent. Pack your umbrellas and prepare for a wet moving but relocating in the rain or in the snow doesn’t have to be a bad experience. The best solution is to hire a moving company that will take responsibility for safely and for rapidly delivering all of your belongings to your new home. 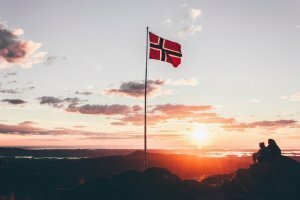 There are a lot of different types of packaging and moving services to Norway that you can benefit from to protect your household items in advance, so moving day can be a more relaxed experience. Scandinavia is that magical place where you can go sunbathing at midnight, or if you are brave enough — take a swim in the fjord. The term Midnight sun describes a natural phenomenon that occurs during summer in places south of the Antarctic Circle and north of the Arctic Circle. The best place to observe it in Norway is the island of Svalbard where the sun doesn’t set between the 20th of April and the 22nd of August. The sun further south does set, however, it never gets completely dark at night, and, strangely enough, you can find many people jogging, or having a stroll in the park in the middle of the night. The Aurora Borealis, also known as the Northern lights, is one of nature’s most breathtaking spectacles. There are very few places in Europe where you can observe the Aurora, and Norway is by far one of the best ones. If you are lucky enough to be moving to one of the more northern cities you can be sure to observe them almost every clear night from October to March. 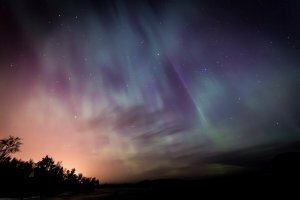 The scientific explanation behind the Northern lights is that they are the result of ionization of charged particles from the Sun high in the atmospheric layers. This phenomenon can only be observed in the high-latitude regions around the Arctic (Aurora Borealis) and Antarctic (Aurora Australis). There are numerous agencies, apps, and websites to help you book a tour, chase and catch a glance of the Aurora. 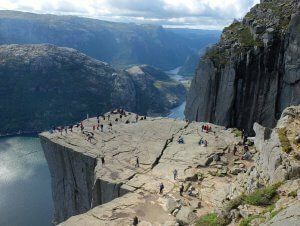 There are more than one thousand fjords along the shores of Norway with only 2,500 kilometres where fjords are excluded. The most beautiful and iconic ones are situated on the west coast. The most famous and the “must-see” when you relocate to Norway are the Lysefjord, the NÃ¦rÃ¸yfjord, the Geirangerfjord and the Sognefjord. UNESCO has included three of these on its World Heritage List to be admired and preserved for the future generations. But what exactly is a fjord? Simply put, a fjord is U-shaped valley that was formed by glacial activity millions of years ago, and that has been filled by sea water in present days. The fjords’ beautiful surroundings include high, glacial waterfalls with drinkable water, snowy mountains, peculiar cliffs and rock formations. You are allowed to camp at least 150 meters away from the nearest inhabited house or cottage. Campfires are not allowed in the forest areas from the 15th of April to the 15th of September. Be very careful not to cause a forest fire, and never leave a campfire unattended. You are allowed to stay in one spot for only one day. If you want to camp more than that, you must ask permission from the landowner. This rule excludes the mountains and the national parks. There are designated places for emptying toilets and doing so in a different spot is prohibited. You may pick berries, mushrooms and other plans, and you are allowed to fish in the sea without a permit or any other documentation, as long it’s for your own use. However, there are certain species of berries that are under a protection law, so it’s best to check the existing regulations in the area before going camping. Do not litter, do not feed the wild animals. Be respectful and try to leave as little of an impact as possible.